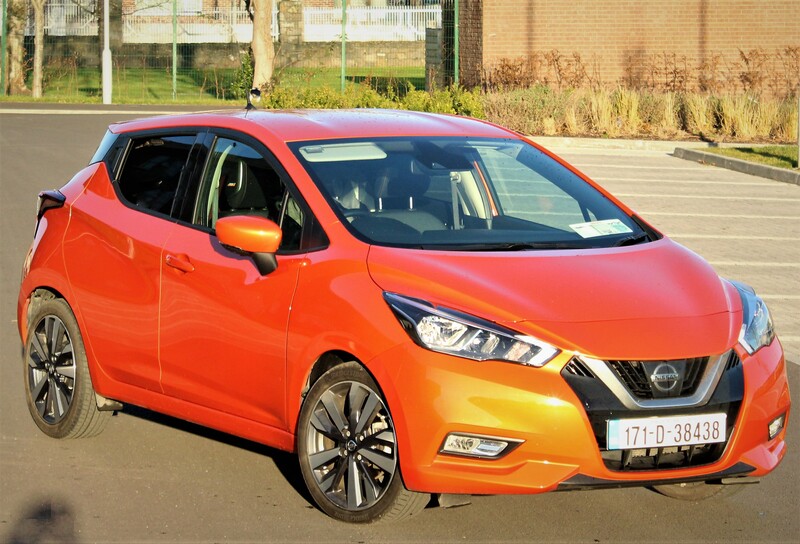 Since its launch to the Irish market in the early 1980’s, the Nissan Micra has become an icon in the small / supermini segment. It has lasted the test of time, albeit with a few wobbles in the middle but the newest model indicates the future for the Micra and it appears to be here to stay. Over the years, the Nissan Micra has gone through some radical design changes. Nissan seemed to lose their way a bit some years back as the bubble Micra floated on by. The newest model is far from that and the result will be that Nissan will have the opportunity to regain a strong hold within an ever-expanding segment of the market. 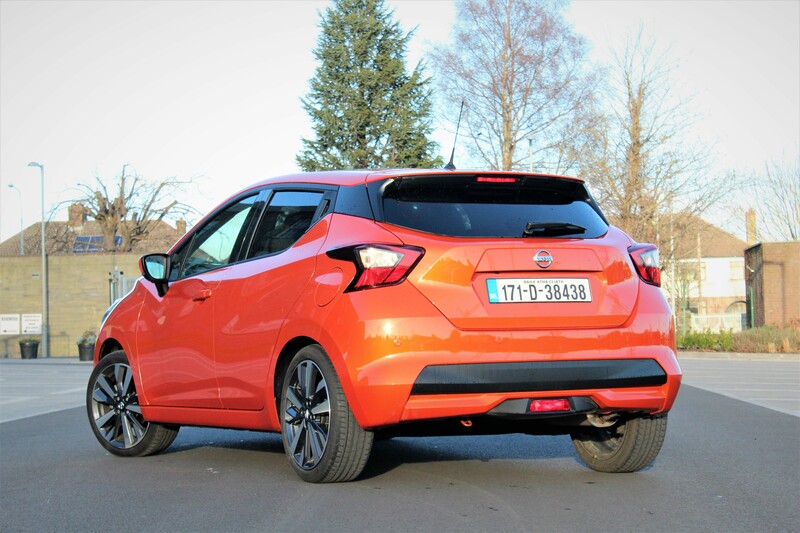 The Micra has always appealed to both young and old drivers and with the new design and styling Nissan will continue to satisfy customer demand. From the outside, the five-door hatch looks very smart. The designers have gone to great lengths to ensure the styling of the Micra immediately catches the eye and they have achieved this in spades. From the sporty front end to the curved rear, the Micra has shaken off the boring style of years gone by and has been reborn with a pep in its step. 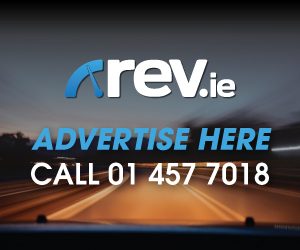 The new Micra is available in four trim levels; XE, SV, SV Premium and the range topping SVE. 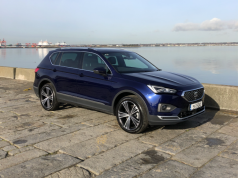 Standard specification across the range includes LED daytime running lights, tyre pressure sensors, automatic headlamps, ISOFIX in the front and rear passenger seats as well as a host of safety equipment. Spec up to the SV trim includes 16-inch alloy wheels, body coloured door mirrors and door handles, 7 inch display audio as well as a 5 inch drive assist display along with cruise control and chrome interior trims. 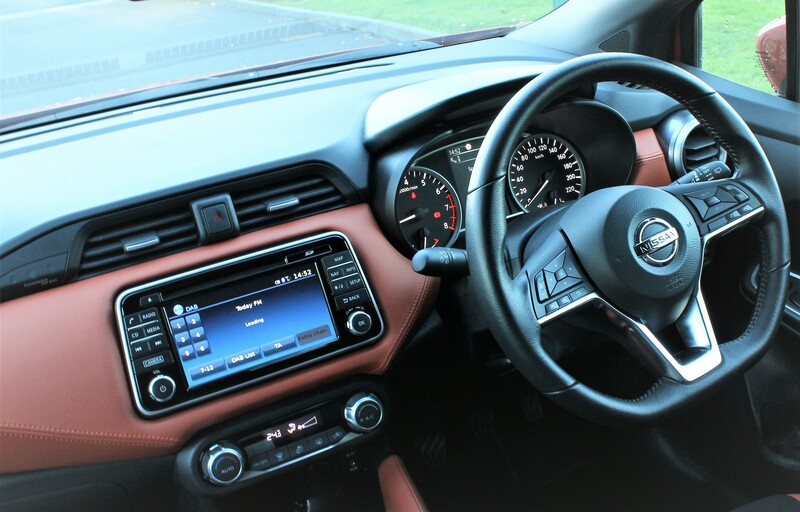 The SV Premium trim level adds a leather steering wheel, front fog lamps, privacy glass, LED ambient lighting, Auto air-conditioning, rain sensors and Nissan Connect while the SVE trim level brings it up another notch to include 17 inch alloy wheels, Nissan iKey, rear view monitor and rear parking sensors, a BOSE 6 speaker sound system including the BOSE personal speaker in the drivers headrest as well as the Nissan safety pack. All in all, the Micra is well spec’d and the pricing doesn’t jump too dramatically between trim levels. Inside the cabin is much more refined than before. Given that my test model was the SVE trim level, I had all the toys at my disposal. 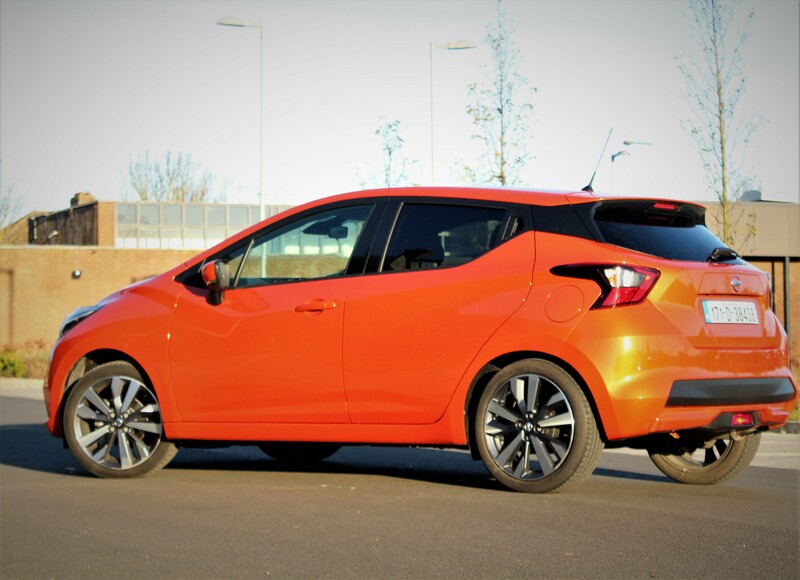 Nissan chose to also include the optional extra of the orange interior personalisation package as well as the 360-degree camera. Space in the front seats is plentiful. You can acquire a comfortable driving position thanks to the adjustments on the steering and the height adjustment on the driver’s seat. 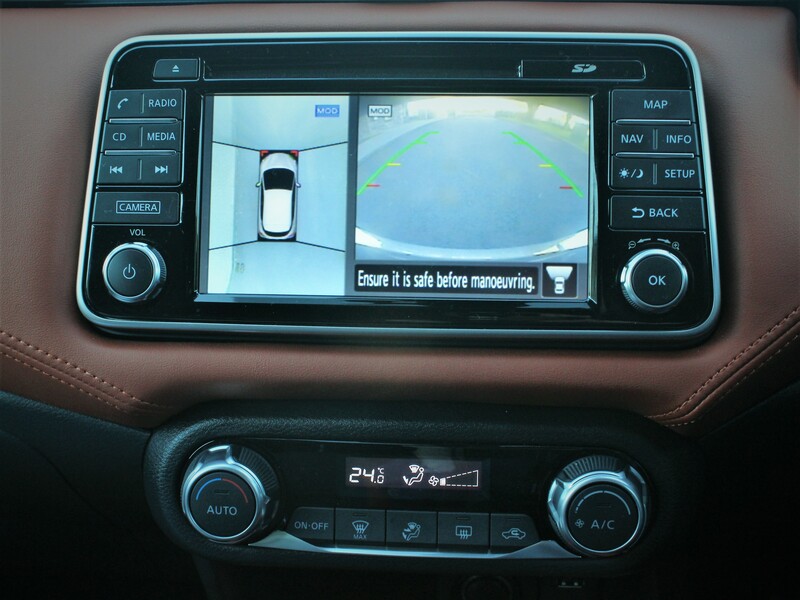 All the controls are easy to navigate with everything within reach. The 7-inch infotainment display is clear, but I did find that it appears to be lagging behind the competition and may need to be brought more up to date. Leg and head room would appear to become an issue in the rear for taller passengers. This is because of the sloping roof line and the fact that space has been maximised up front. The flip side of that however is that I experienced no difficulties in loading in a front facing child seat behind the driver’s seat without the need for me to adjust my driving position at all. This to me is a huge positive and something which cant be said for every brand in the segment. Boot space is also generous for the segment at 300 litres with the buggy fitting in without incident. This space can be expanded up to 1004 litres with the rear seats folded down. 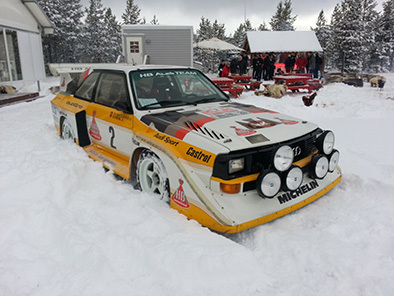 On the road, the 0.9 litre engine of my test car always gave the feeling that it wanted to be driven. 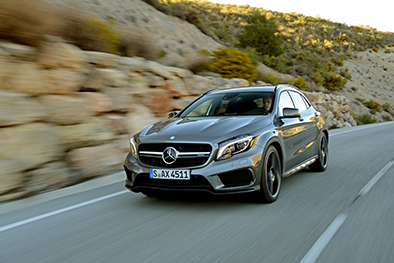 It lends itself to eager acceleration and it makes the car more fun to drive. The little three-cylinder engine can be a bit vocal when it is pushed on, but this is one of the characteristics of such engines with few brands figuring out how to overcome it. On the road, there was an intrusion of road noise especially on motorway journeys, but this is down to the upgraded 17-inch alloys I would imagine. The Micra proves itself as being perfectly capable of any journey. 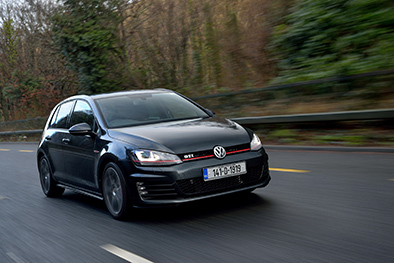 Road noise aside it handles very well and provides an engaging drive with plenty of feedback to ensure you know exactly how far you can push it. Is it the most engaging and dynamic car to drive in its class, no. But it does offer sufficient levels to put it up there fighting for its place and holding its own. 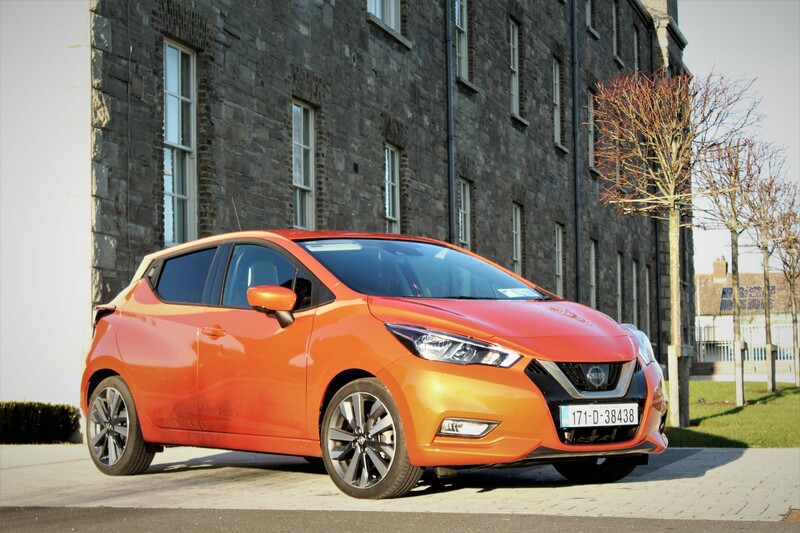 Overall the Micra now allows Nissan to fight for its place within an already hectic segment. 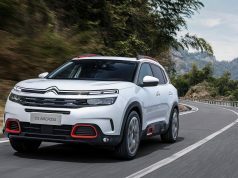 They have brought a model to the market that not only displays striking exterior looks but also offers a stylish and functional interior as well as an above average driving experience. Given their clientele of previous models I think it will definitely tick a lot of the boxes. Will this transfer into sales, that remains to be seen but the addition of a good all rounder into this segment should be greeted with open arms.